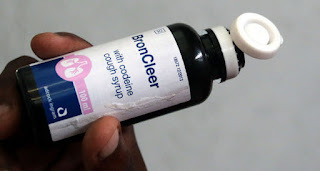 MWENEZI - Tobias Madakadze (56), a barber at Rutenga Business Center has been sentenced to 30 days in jail or $100 fine after being found in possession of 10 x 100ml bottles of broncleer. He appeared before Rutenga Resident Magistrate Honesty Musiiwa facing charges of possessing unregistered medicine. Many unemployed youth are using the cough syrup these days as a drug because it is cheap. It is the State case that on January 11, 2019 Mwenezi cops got a tip off that Madakadze was selling broncleer. Police recovered the drug and ordered him to produce a license which he failed to do. “I admit the offence, life is difficult so I was selling the cough syrup as a way of living,” said Madakadze in court.